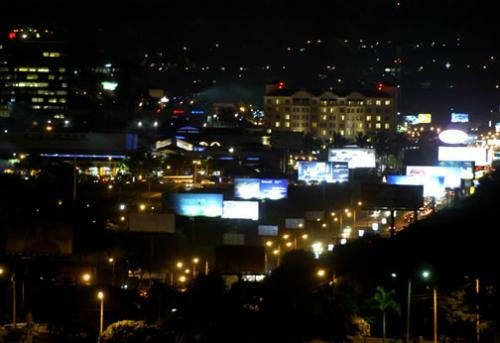 The bustling city of Managua is much like other large Central American cities that seem to come alive at night. I am not saying that it is anywhere near "dead" during the day, but the night seems to help relax its residents and visitors who just want to have some fun. Throughout the city, there are plenty of areas where bright lights, noisy clubs and packed discos spill out onto the streets. This of course includes the bars. Now this can either scare away visitors who may hide in the comfort of their hotel rooms or have them regretting the chance of taking an earlier flight home or taking a Nica Bus to Granada. But there are several great locations at night that show a unique and special side of Managua that is not only fun and exciting but memorable. I tell all first-time visitors to Managua that they should always be aware of their surroundings at night and to make sure to travel in groups to stay relatively safe. I also remind them that they could just as easily get mugged in New York City as they would in Managua. So before going out, always ask yourself this question: "Would I walk down this alley in New York?" If the answer is no, then don’t do it in Managua! When you do reach your selected destination, smile, enjoy your surroundings, have a ice-cold bottle of Toña or Victoria (this debate will be saved for another post), and just have an awesome time. 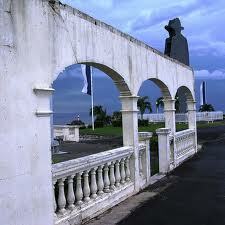 I recommend the following places when visiting Managua at least for a few days whether on pleasure or business. This next place is nowhere near the stature of La Casa de los Mejía Godoy, but it should be visited solely for its originality. It is known as the Shannon Bar. It is an Irish pub complete with an Irish owner who enjoys talking to customers about everything from the city’s past to the latest jokes. Although it is missing the full wooden décor of a typical Irish pub, it does include themed posters, an active dart board, and one of the only places to get a pint of Guinness in Nicaragua. During my first visit to Managua, I was invited to the bar by a long-time resident of Managua who spoke of it highly. After my initial sarcastic laughter about the place, it turned into true admiration. The facade is nothing to write home about but it's what’s inside that counts. 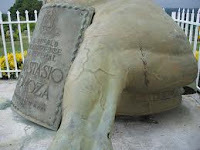 It is located in the Barrio Martha Quezada just down the hill from Loma de Tiscapa (where the Sandino silhouette stands watch over the city). 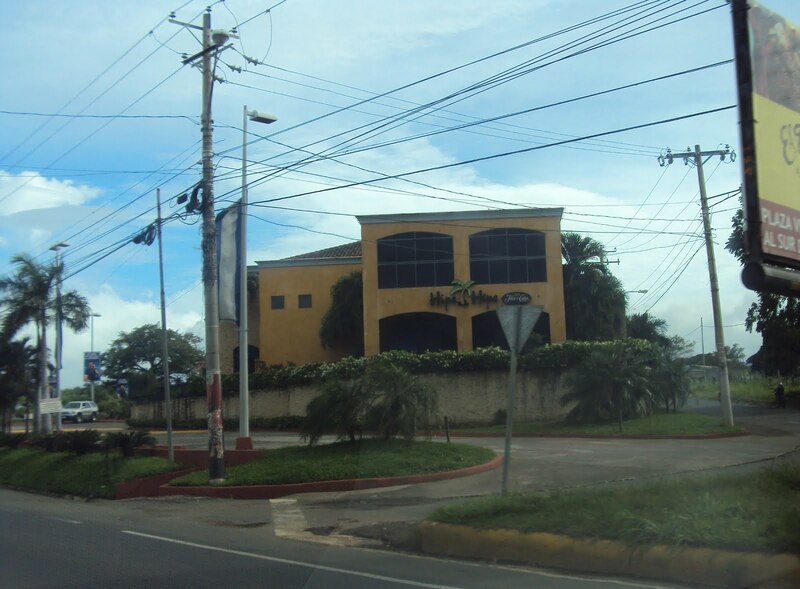 Located at Km 7.5 on the Carretera a Masaya is Hipa Hipa, one of the most popular nightclubs in the city of Managua. Established in 1998, it has two primary areas with two different DJs providing the latest hits: an air-conditioned dance floor and a terrace. Mention "Hipa Hipa" to residents and you will hear a wide variety of opinions that range from "Awesome Place!" to "Crowded and Noisy." But it still attracts men and women (mostly under 30 years of age) who come to be seen and dance the night away. It offers a wide array of delicious rums, local beer, and foreign top-shelf liquor as well as security guards who patrol the parking lot. The final place is located on the corner near the pyramid-shaped Crowne Plaza. Named La Curva (The Curve) for its location on the Avenida Bolivar, it includes an open-air seating area and stage with a beach themed décor complete with thatched roofs and creaky wooden furniture. Although they do serve food (which in my opinion is just mediocre), the real reason to go there is to have some cold drinks on a steamy night and watch the variety of live bands perform. 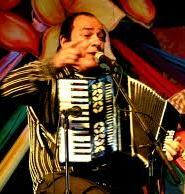 In fact, many musicians who have performed there have been band members of famous Nicaraguan groups who have toured the world back in the 1970s. Pictured to the upper left is one of Managua's well-known musicians, Julio Cansino, who once toured the world with a rock band in the 1980s and even composed the music for the historic fountain near the city's old cathedral. He was once a member of a band that included a lead guitarist named Tony Ferrari and yes, he was related to the famous car maker. Cansino is still very active in the Managua music community and currently performs regularly in two music groups: The Consequence Duet and the Grupo Sajonia, whose lead singer is Karla Matus, one of Managua's rising stars. I have had the privilege of watching these bands in both rehearsal and concert, and they are truly professionals. It is also always memorable to watch Spanish-speaking groups perform classics from Styx, Survivor, Queen, and the Beatles! Located approximately 35 miles northwest of San José is an 8,884-foot stratovolcano that contains one of the largest craters in Central America. 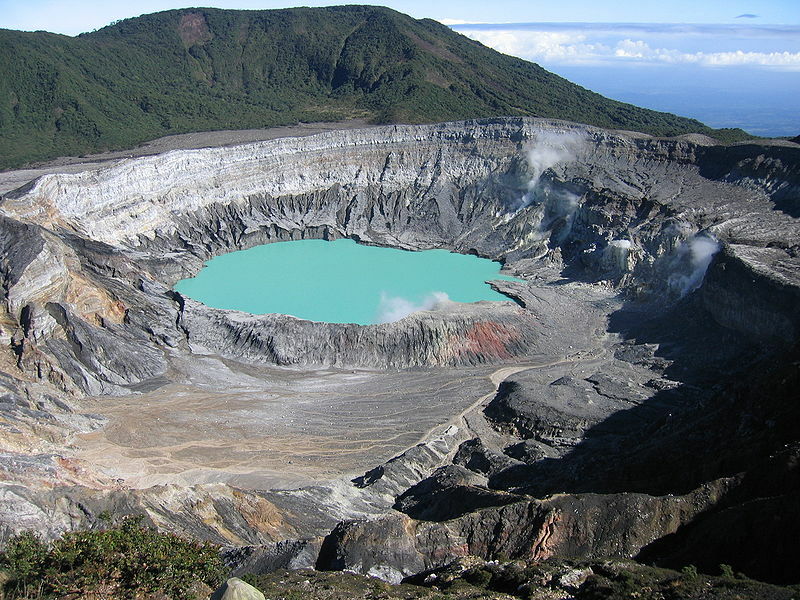 Known as the Poás Volcano, or the Volcán Poás, its crater is measured at just about one mile across and it consists of not one but two crater lakes: the active and highly acidic Laguna Caliente on its northern side and the eerily quiet Laguna Botos in its southern portion. When I mention active and acidic, it is true. According to the Smithsonian's Global Volcanism Program, the Laguna Caliente is actually one of the most acidic lakes in the world with a pH level of almost zero. This low level can highly irritate the skin and eyes if exposed. It has also erupted more than 40 times since 1828 alone (with the latest in October 2010) and considering that the volcano dates back 10 million years, I would say it is more than active. The current eruptions usually occur in the form of geysers that release sprays of acid gas and rain that causes a tremendous amount of damage to the surroundings. In May 1994, the acid fog and the sulphur dust actually impaired the vision of people in the vicinity and damaged crops, portions of forests, and even vehicles. Today, the volcano is covered by acres of coffee farms that thrive off of the rich volcanic soil and entire area is protected within a 22-square mile national park known as the Parque Nacional Volcán Poás or the Poás Volcano National Park. 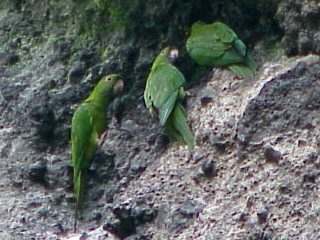 It is one of many national parks in Costa Rica and much like the others it also includes dense tropical forests and a wide array of wildlife. Entrance to the park is approximately US$7 depending on the varying exchange rate. Visitor Center: Before exploring the volcano, make sure to stop by the informative visitor center. It includes a café (Café Botos) and a gift shop on the second floor (Heliconia Nature Store) that offers every possible souvenir available. 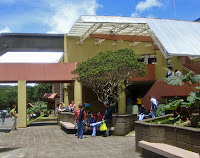 But most importantly, it includes a small museum and exhibit hall where short presentations about the volcano and its history are presented throughout the day. It really prepares you to take the trek to the crater and witness the popular spectacle that is seen by more than 150,000 visitors a year. 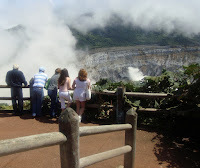 But in addition to the crowds and the beauty, there is the constant threat of danger due to the volcanic activity. This activity is closely watched by geologists and it is announced that the park is immediately closed to visitors at the first sign of extreme danger. The rangers also mention that the main crater itself is off limits to hikers due to the constant spray from the steaming fumaroles. The hike to the crater’s rim is especially easy since a paved road leads just about up to the crater itself with a short trail that takes you to the rim. Before you go, dress accordingly and in layers because it can become very hot when the sun is out but also bitterly cold when the cloudy mist blows in. Otherwise, bring your sunscreen and water, and enjoy the view. There are three well-marked trails: Crater Trail, Escalonia Trail, and the Lake Botos Trail. 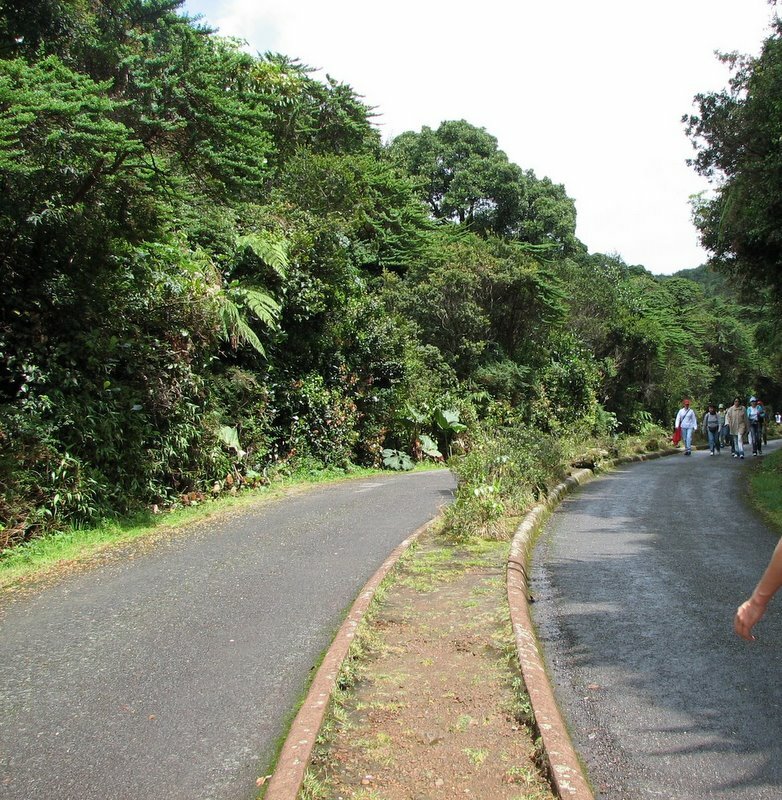 Crater Trail – This paved trail is approximately 2,500 feet in length and leads directly to the main crater. It is generally crowded with busloads of tourists who come to view the otherworldly landscape from the lookout point. The crater lake is fascinating due to its diversity of colors that can change from emerald green to a brilliant yellow in a matter of hours. This is all due to the high temperatures and the layer of liquid sulphur located at the bottom of the lake. Escalonia Trail – This trail takes about 30 minutes to complete and begins at the picnic grounds and takes you through tropical forests. It is the most peaceful of the three main trails. This is also where you can spot a variety of wildlife including the beautiful quetzal and the Poás squirrel, which is reddish-yellow with a tail that is longer than its body. The trail is also named for the Escalonia tree that includes an unusual pagoda shape. Botos Trail – This trail takes about 30 minutes and travels through a beautiful cloud forest and ends at the deep and isolated Laguna Botos. The lake, compared to its active counterpart, is extremely peaceful and surrounded by lush tropical forest that creates a feeling of an eerie oasis. The trail is about half-a-mile in length. As with any high-altitude volcano in Central America, the best time to view the summit crater is early in the morning, well before the clouds begin to cover the area with a thick mist. Otherwise, you have to just take your chances and hope that the clouds part for a brief moment. Either way, the overall experience is well worth the trip. 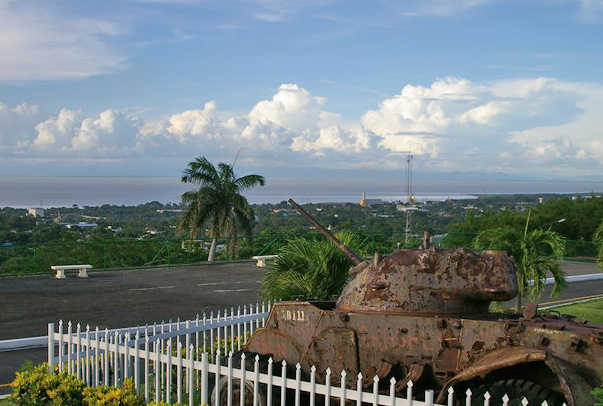 Since its establishment as Nicaragua’s capital and nerve center in 1855, the city of Managua has seen its share of wealth, man-made tragedy, natural disasters, and political upheaval. Along with the other cities in the north such as León and Estelí, it was heavily involved in both the revolution as well as the Contra War during the 1980s. Older residents still recall the memories of aerial bombings and names such as Sandino, Somoza, and the Sandinistas are still deeply part of its history. Located on one of the highest hills within the city is the Loma de Tiscapa, also known as the Parque Histórico Nacional Loma de Tiscapa. This national historic park is known for its panoramic views, volcanic lagoon, and the former palace of notorious Anastasio Somoza García. 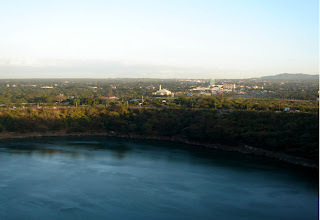 From this vantage point, you can see the Zona Monumental (the pre-1972 earthquake portion of the city), both Lake Managua and the 4,255-foot Momotombo Volcano to the north, as well as the Zona Rosa entertainment district to the south. 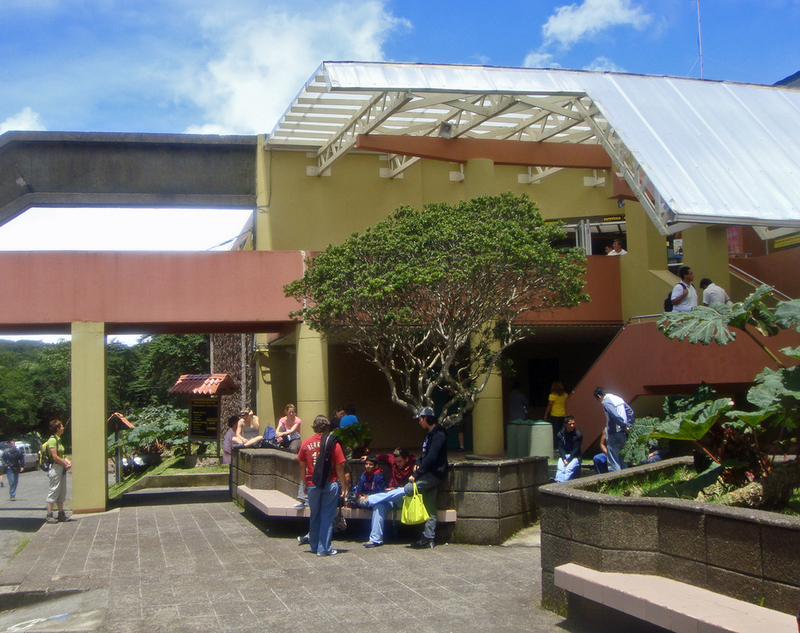 Access to the area is from a paved road behind the pyramid-shaped Crowne Plaza Hotel and the entrance fee is only C$20. Crowning the hill is the famous 59-foot black silhouette of Augusto C. Sandino and it quietly stands as a reminder of times that are now long gone. It marks the location of the magnificent presidential palace where Sandino signed the peace treaty that ended his guerrilla war against the Liberals and where he was also assassinated after a dinner with Somoza in 1934. The site was eventually transformed into a notorious prison (Las Masmorras) complete with torture cells. With simple words such as "Take him to La Loma," it either meant an appointment with a senior official or the beginning of a horrible nightmare. But after years of struggle, it was the Sandinistas who would have the last word by removing the Samozas in 1979. Today, it includes several attractions that really sum up what the country has gone through. There is tank sent by Benito Mussolini to Somoza along with one of most peculiar attractions: the bronze backside of a horse, which is all that remains of the dictator’s mounted statue. It is a fitting and humorous homage to the controversial leader. The park also hosts a variety of historical exhibits in what remains of the palace, which was mostly destroyed in the 1972 earthquake. Canopy Tour: Located on the southern side of the park is the Canopy Tour Tiscapa. It is unique for being the only canopy tour above a lagoon in Central America. 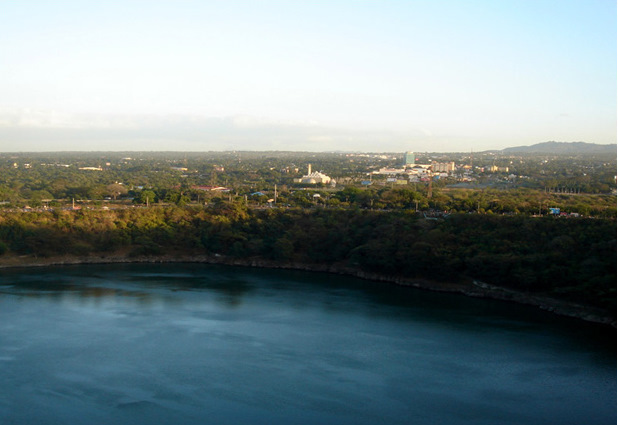 Although it looks somewhat dilapidated, it is a fully functioning zip-line tour that crosses the lagoon from the hilltop to the shore down below. From the thatch-roof platform, you can launch onto three zip lines of varying lengths (with a total length of approximately one mile in either a seated or forward-facing position. For the more courageous, it is possible complete the ride hanging up-side-down. Afterwards, you have the choice to either walk back around the perimeter of the lagoon or ride back to the hilltop by truck. It costs approximately US$15 (depending on the varying exchange rate). In the busier periods, it is easy to find. Just follow the screams. For anyone who has traveled through Nicaragua or Costa Rica, the dish known as gallo pinto becomes a staple for almost any meal of the day, even though it is mostly consumed during breakfast. Literally meaning "spotted or speckled rooster," it was affectionately called this from the “spots” that the beans make against the rice. In its basic form, the dish is a combination of pre-cooked rice and beans fried together with spices such as onions, cilantro or peppers. If you ask a Nico or a Tico about how to make the dish, they look at you like you are a bit crazy because everyone seems to know how to cook them. Most responses are usually "Just cook some beans, cook some rice, and then fry them together!" Most dishes from specific countries usually remain as representative examples of cuisine and culture. But for the countries of Nicaragua and Costa Rica, no other dish has inspired such rivalry as gallo pinto. First of all, BOTH countries claim that it is a national dish that originated on their soil. According to Nicaraguans, the dish was brought to the Caribbean side of the country by African-Latinos well before Costa Rica began eating it. The Costa Ricans claim that the dish was created in 1930 in the neighborhood of San Sebastián, which is the southern suburb of San José. Before I get into the "battle" itself, I have to mention that I have personally enjoyed both dishes and they are both delicious in their own way. 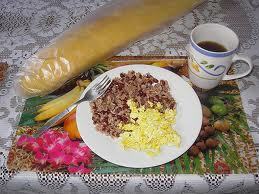 Most importantly they fill a hungry stomach, whether it follows a day of exploration or a night of partying. 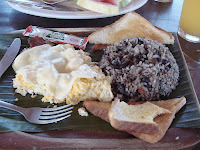 When looking at both dishes, there is an obvious difference that no one will dispute: the Nico version is made with red beans and rice while the Tico version includes black beans with rice. These are just the basic versions since the variety of seasonings can differ in preparation from one individual to another. It all began in 2003, when the Costa Ricans (under close watch by representatives of the Guinness Book of World Records and a handful of notaries and lawyers) made approximately 965 pounds of rice, beans, sweet chile, garlic, salt and pepper for a new world record. 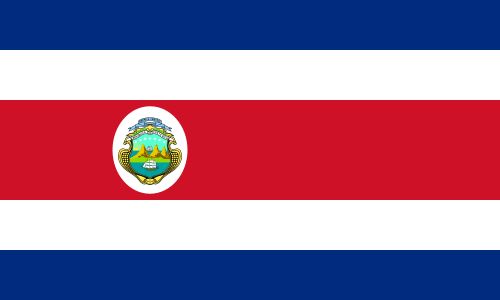 Annoyed by the feat and that Costa Rica then claimed that gallo pinto was their national dish and creation, the Pharaoh’s Casino in Nicaragua announced that they will outdo the Costa Ricans. As stated by Pharaoh’s representative Javier Lopez, "We are going to prepare the biggest gallo pinto in the world because it is 100-percent Nica!" Two weeks later, 15 chefs from Managua’s hotels and restaurants prepared 1,200 pounds of rice and beans, which fed 9,000 people. But year after year the battled raged on. Officially, the Guinness Book of World Records states that Nicaragua currently holds the world record for making the largest pot of gallo pinto. The record was set on September 15, 2007 (now known as "Gallo Pinto Day") when a steaming vat had fed 22,200 people in a widely publicized event at the Pharaoh’s Casino in Managua. To answer that achievement, Costa Rica blew away the competition in 2009 by feeding 50,000 people after cooking 3,300 pounds of rice and 2,640 pounds of beans. 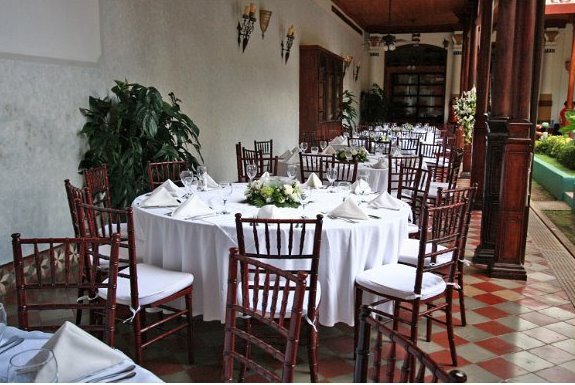 It was prepared by several dozen chefs at the Hotel Ramada Plaza Herradura, located west of San José. 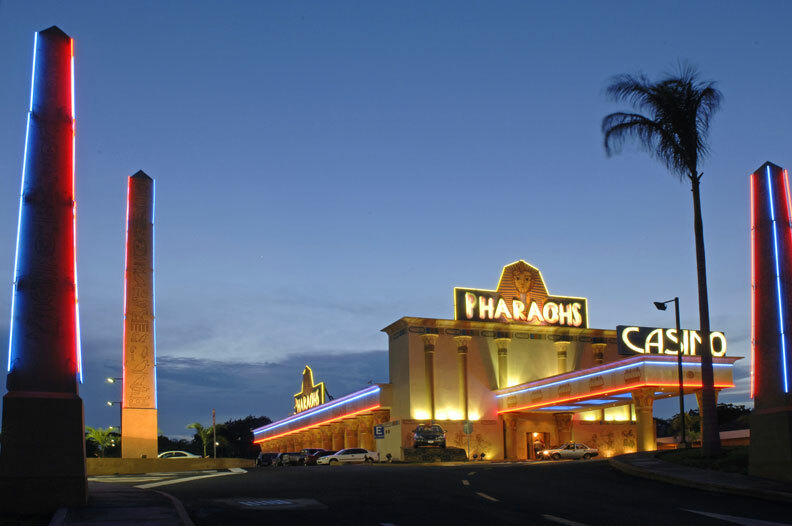 The Pharaoh’s Casino currently has no plans to continue its "gallo pinto day." Perhaps more focus is being spent on the ongoing border dispute along the Río San Juan. But that is another heated issue between the two countries for another time that does not look like it will end soon. The steaming Masaya Volcano, also known as the Volcán Masaya, is one of the first noticeable landmarks when landing at the Augusto Sandino International Airport in Managua, Nicaragua. Located approximately 14 miles southeast of the city, it is one of the country's most active volcanoes. According to the Global Volcanism Program at the Smithsonian Institution, the Masaya lies within the massive Pleistocene Las Sierras shield volcano that includes steep-sided walls as high as 984 feet. The northwestern end of the caldera is filled with more than a dozen vents that continually erupt along a circular, 2.5-mile system. The twin volcanoes of Nindirí and Masaya, the primary source of all of the historical eruptions, were constructed at the southern end of this system and contains several summit craters, including the currently active Santiago crater. Although it is not the usual cone-shaped volcano, it is one of the easiest active volcanoes to visit without risking your life. It includes everything for a good introduction to volcano exploration: a smoking crater, a variety of trails filled with local wildlife, no necessary climbing experience, and a mysterious past enhanced by true stories of human sacrifice as well as other interesting local legends. 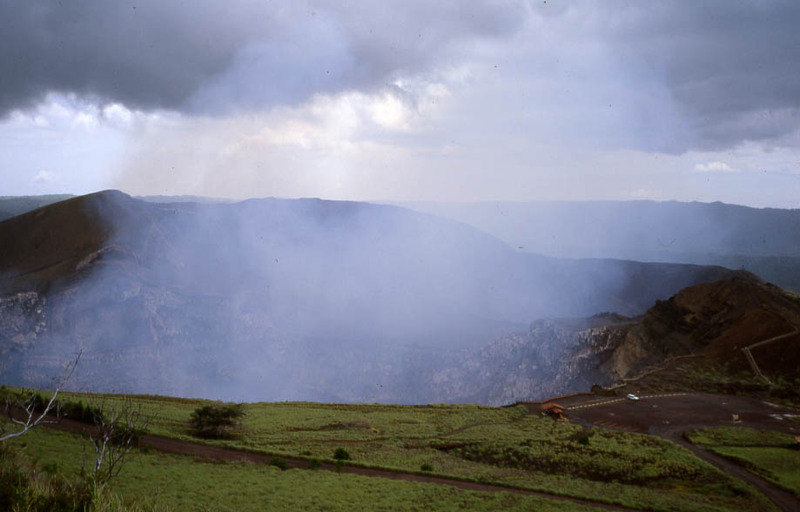 The Masaya Volcano is located within the 21-square-mile Parque Nacional Volcán Masaya, just off the Carretera a Masaya at Km. 6, approximately four miles north of Masaya. The national park, established in 1979, actually includes five different craters: the active Santiago, and the dormant Masaya, San Fernando, Nindirí, and San Pedro. The park is open every day from 9 a.m. to 4:45 p.m. Visitor Center: The visitor center provides a great introduction to the park as well as a thorough history that covers many of the local legends. It is also the best place to get a good trail map and inquire about hiring a guide for tours of the bat caves and lava tunnels. 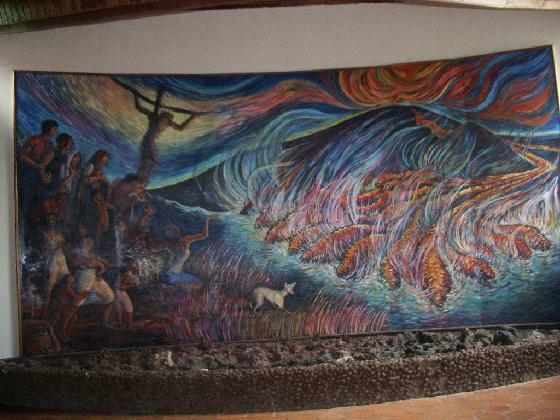 Make sure to view the dramatic mural before heading up the hill toward the main crater because it really helps depict the fascinating history that once frightened both the local indigenous tribes as well as the Spaniards who called it "The Gates of Hell." In addition to the human sacrifices that occurred there, a Franciscan friar once attempted an exorcism to help quiet the volcano. The large Bobadilla Cross, located on the eastern rim, was named after the friar who put it there, and a precarious set of stairs lead to the cross. Santiago Crater: The paved road from the visitor center leads directly to the parking lot at the rim of the Santiago crater. From there, you will see its sulfur-dioxide gases billowing up toward the sky and the Bobadilla cross and its series of stairs on the right-hand side. However, due to the wind direction that generally blows the dangerous gases toward the stairs, they are often closed to the public. 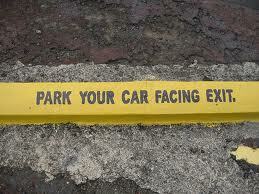 In the parking lot, there are signs that advise visitors to park their cars facing the exit. This suggestion of a quick escape reminds all visitors about the looming danger that should not be taken lightly. Besides, it was only in 2001, when the crater exploded with enough force to send large boulders up into the parking lot where it damaged several cars. Sendero los Coyotes - Also known as the Coyote Trail, it offers a 3.5-mile hike with views of moon-like landscapes, lava beds, craters, Lake Masaya, a variety of wildlife that includes coyotes, and a fascinating species of birds known as chocoyos that thrive in the cliffs around the smoking crater despite the toxic gases. It is a spectacular hike that just about sums up what Nicaragua’s landscape is all about. El Comalito (a trail that leads to volcanic cones) and Las Cuevas (a trail that leads to the lava tunnels) can only be explored with a guide. Even though the hike is relatively easy, the guides are both experienced and constantly aware of the dangers in the lava tunnels. Since 2007, the park has offered night tours of the volcano, which is one of the best ways to see it. 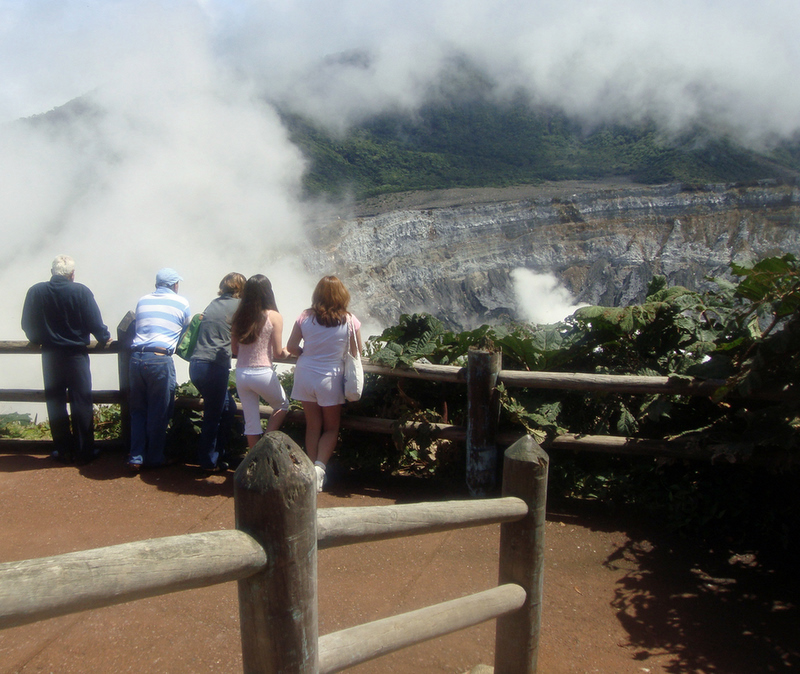 The three-hour tour begins with meeting the guide in the parking lot at the Santiago Crater for a short explanation of the tour itinerary followed by a drive to the base of the Crater San Fernando. After a climb to the summit to watch the sunset, hikers descend and enter the caves that are home to thousands of bats. Good hiking boots are recommended especially since the cave floor is almost entirely covered with bat guano. However, each person receives a hard hat and a flashlight to help you manuever around the cave and prevent droppings from above. Afterward, the tour regroups at the ranger station where each person trades in their hard hat and flashlight for a gas mask, which is used while exploring the lava tunnels at the southern end of the Santiago Crater. The amount of molten lava can vary by the time of year, so be prepared to be either excited or disappointed. But either way, the mere fact that you are wearing gas masks can make this final portion of the tour feel dangerous and exciting. The tours are offered every day at 5 p.m. and end at approximately 8 p.m. The cost is US$10 per person, which is in addition to the regular park admission fee of C$75 for foreigners and C$20 for Nicaraguan residents. 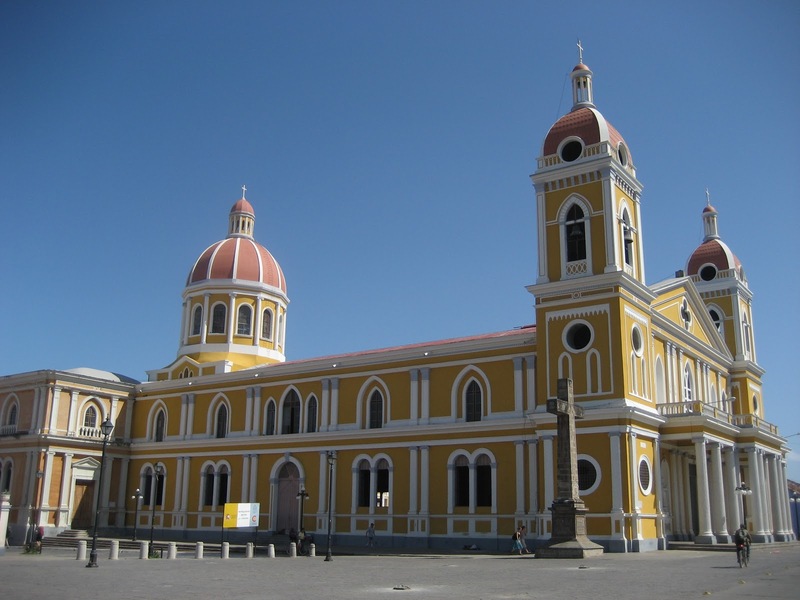 Granada is one of the top destinations for visitors in Central America. Located on the northwestern shore of massive Lake Nicaragua, it is a city steeped in its Spanish colonial past that dates back to the arrival of its founder, Francisco Hernández de Córdoba in 1524. Its rich colonial heritage can be seen in everything from the colorful architecture of its historic structures and the Parque Central (Central Square) to its beautiful and colorful churches. The city also offers every type of dining experience ranging from simple stalls on the main square to fine dining experiences with white table linens. Several of the following restaurants have received praise by major publications that include The New York Times and Condé Nast Traveler magazine as well as features on the Travel and Discovery television networks. Here are several great suggestions for your next visit to Granada. Located on the southeast corner of the Central Square, this restaurant is actually across the street from the main lobby of the hotel, which is one of the fanciest hotels in the city. It offers everything of what Granada is all about: beautiful architecture, a relaxing courtyard, ornate carvings and former ruins restored to its original splendor. It includes several sitting areas with my two favorites locations: the downstairs inner courtyard and the upper balcony that overlooks the main square. Whether upstairs or downstairs, the service is great and food is delicious. Their specialties includes marinated beef and broiled snapper as well as reasonably priced imported wines. 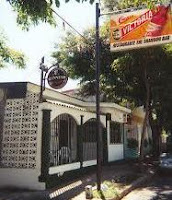 Located in Barrio Las Sabanetas, this unassuming restaurant is my top choice for dining especially for the Cocibolca Guapote. This ugly-looking but delicious fish from Lake Nicaragua is deep fried and covered in a tomato and onion sauce served with lime, rice and a small salad. You know it is a special place due to the fact that even locals go to this restaurant. My extended family in Managua first told me about the place and they still make the journey to have this dish today. The restaurant itself has a sand floor and a thatch roof, which only adds to the relaxed atmosphere. In my experience, some of the best food is served in these out-of-the-way locations with no need for fancy tablecloths or upscale service. Las Colinas is one of these places. Just make sure to go earlier in the evening in order to find a taxi back to central Granada. Located on Calle La Calzada near the cathedral, this intimate restaurant is part of the Hotel Darío, which was completely refurbished with antique furniture. It specializes in upscale seafood dishes complete with white tablecloth, high ceilings and large doors that look out on the street. The lobster is specially brought in from the Corn Islands and each dish is a fusion of Latin and Caribbean styles prepared by the executive chef. 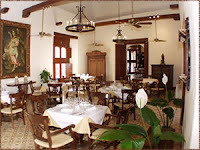 My recommendation would be to pair the dinners with any of the Chilean wines from the varied wine list. The service is friendly even though the waiters are somewhat formal. In usual Nicaraguan fashion, the busier nights include wandering musicians who gladly perform songs (for a well-deserved gratuity). Located within a simple colonial building on Calle El Martiro about a half-block from Calle La Calzada, this café is the vegetarian option for visitors. Managed by a former Californian, it offers a full range of vegetarian and vegan dishes as well as delicious tapas. One of my favorite dishes is the breakfast that includes delicious home-made potato pancakes. Any of the menu’s selections along with hot cup of Nicaraguan coffee is a fitting start to a day of exploration. 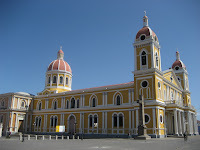 For more information about the city of Granada, read my post Exploring Granada in Nicaragua. Like many other Web sites, www.madeincentralamerica.blogspot.com makes use of log files. The information inside the log files includes internet protocol (IP) addresses, type of browser, Internet Service Provider (ISP ), date/time stamp, referring/exit pages, and number of clicks to analyze trends, administer the site, track user’s movement around the site, and gather demographic information. IP addresses, and other such information are not linked to any information that is personally identifiable. Google's use of the DART cookie enables it to serve ads to users based on their visit to www.madeincentralamerica.blogspot.com and other sites on the Internet. www.madeincentralamerica.blogspot.com has no access to or control over these cookies that are used by third-party advertisers.